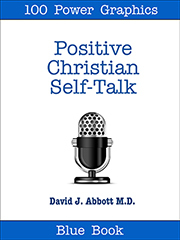 POSITIVE CHRISTIAN NEWSLETTER - GETTING IN AGREEMENT WITH GOD - DAVID J. ABBOTT M.D. I am a swimming instructor, and I give swimming lessons in God's ocean of love. It's time to get your first swimming lesson. I hope you dive in and have a great swim. Take a lesson from the smart fish. Once there was a smart fish who taught himself to read. Finding reading material wasn't difficult because the oceans had become the trash bins for the world. Millions of people loaded their rubbish on giant barges and sent it far out to sea where they dumped it. Although this wasn't good for the oceans, it provided the brilliant fish with a never-ending supply of reading material. One day the fish read an article that said all life was dependent on water. It pointed out that many places on the planet could no longer sustain life because of insufficient water. The highly intelligent fish decided that if water was so important, and his survival depended on it, he must find some water for himself. He gave up reading and spent the rest of his days swimming in the oceans relentlessly searching for water. Water became his holy grail. The fish eventually died without discovering he had been swimming in an ocean of water every day of his life. This fish is like billions of people who swim in God's ocean of love without realizing it's there. Although it sustains them, supports them, and keeps them alive, they can't see it or feel it because they never learned to focus on it. 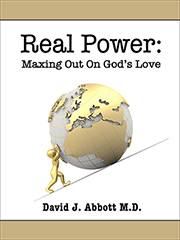 God's love is an eternal fact that sustains the world. No matter what you do, you cannot escape it. You can ignore it or reject it, but it will not go away. God's love surrounds and envelops you. It continually reminds you that you can be one of his children. For your entire life, you will either sink or swim in God's ocean of love. The Positive Christian Newsletter values your time, and we know that you don't want to read long newsletters. That's why our newsletters are short and sweet. The longer the newsletter, the harder it is to find the good stuff. We want you to find the good stuff immediately and share it with your friends. Each newsletter focuses on a single concept that you need to have in your mind. We attempt to make our newsletters pure gold. The newsletters also have links to positive resources that will help you live as a positive person.